One of my new favorite activities is succulent acquisition. 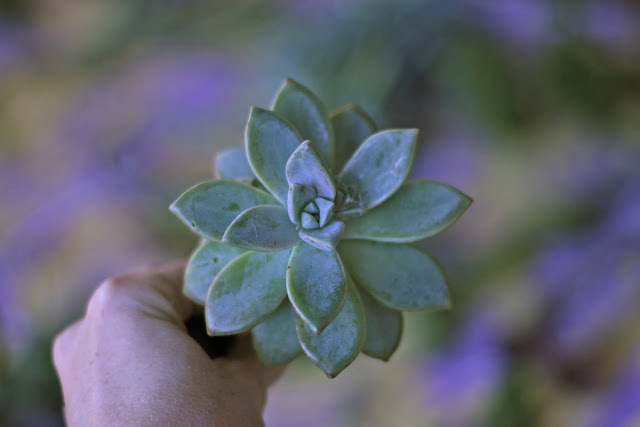 In case you aren’t “in the know” about succulents, they’re wonderful type of plant that retains water and thus doesn’t need to be given much care. Cacti are a type of succulent, but there are many others that are absolutely wonderful! Check out this Pinterest board (and this one) for some beautiful succulents and ways to display them. 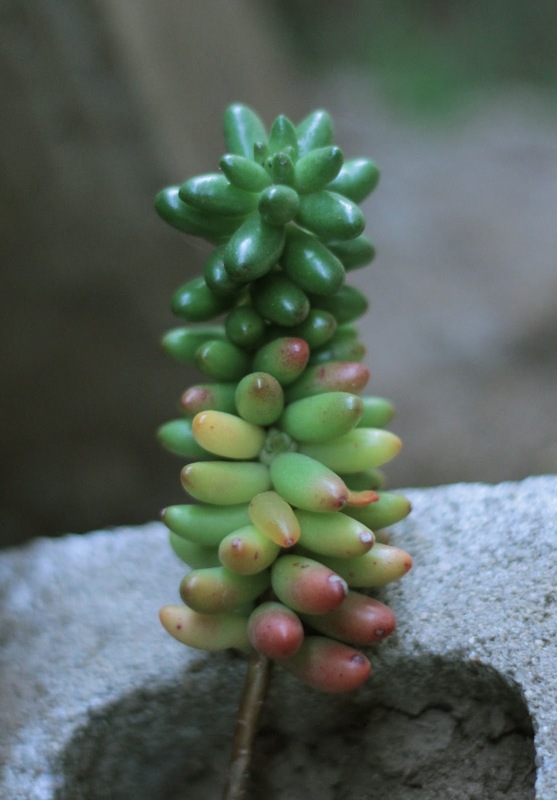 The coolest (and to many people, the most surprising) thing is that you can literally snap off a piece of another succulent you come across, plant that branch in the ground and in a couple weeks it will develop roots and be a whole new plant! Never buy plants again! (well, succulents anyway). We recently gathered a bunch of cuttings from friends and neighbors in order to create some garden border areas (out of simple cinder blocks). Here are a few pics! Here’s the cinder block succulent wall we made with our clippings! The whole event gave me the idea that someday it might be fun to have a full blown Succulent-Exchange party. Also, if you have any questions about how to make new succulents from old ones, feel free to message me! ps. fair ivy subscribers will notice a succulent-themed surprise item in their packages this month! Wonder what it is….